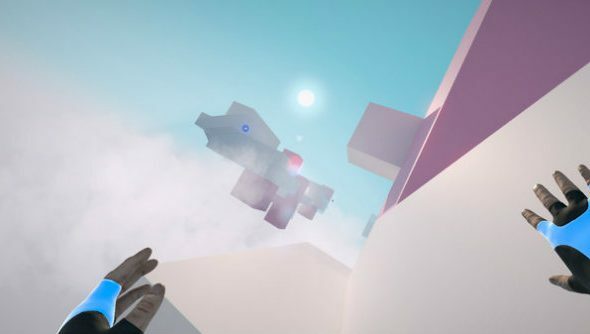 Welkin Road takes the parkour of Mirror’s Edge to the clouds and adds a grappling hook. It makes no sense, but there’s a certain purity to that. Look at our list of best indie games for more small studio fun. It’s a parkour puzzler where you have to jump, wall-run, slide and swing your way around geometric shapes to get to a pillar of light. Essentially, it’s Mirror’s Edge without all the story, guns and the illusion of an actual ground. Welkin Road enters Steam Early Access on April 13. The developers say its single-player is complete and time in Early Access will be spent refining and polishing the experience. This period should only take around four months. You can add Welkin Road to your Steam wishlist now.